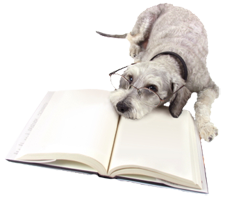 Bayne Mobile Veterinary Services is aware of the vast amount of information available on the Internet. Our team has taken the time and evaluated the following sites. We trust the information the listed websites provide to you, our client, and member of our family. Bayne Mobile Veterinary Service's On-Line Store where you can browse at your leisure and purchase products at competitive prices. Premier dog training group in Southeastern Michigan. Individual (at home) or Group classes available. This site offers advice on pet-friendly cleaning products to use in your household.